I wore this outfit on Thanksgiving day. I know, it’s almost Christmas, so I’m a little behind with outfits. 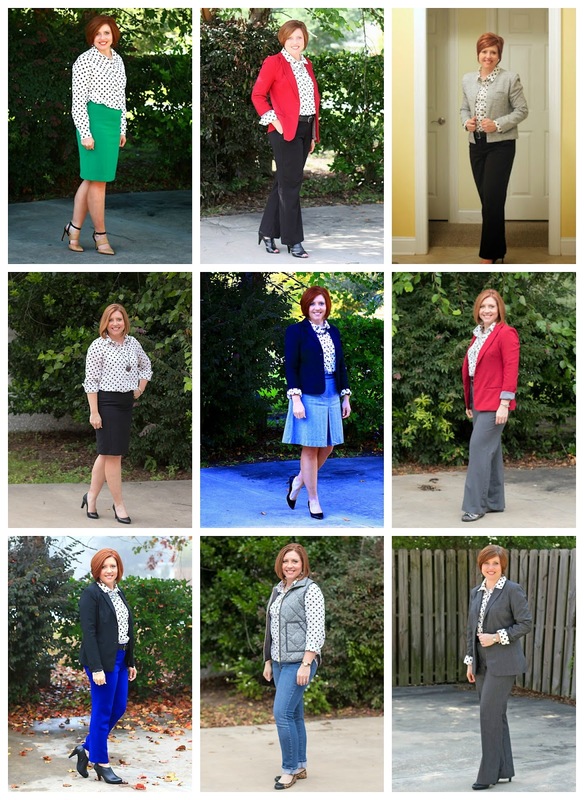 When I pulled up these pics, I thought about how often I’ve worn this blouse and how easy it is to dress up or down, so I’ve made a remix collage of the ways I’ve worn this blouse in the past. 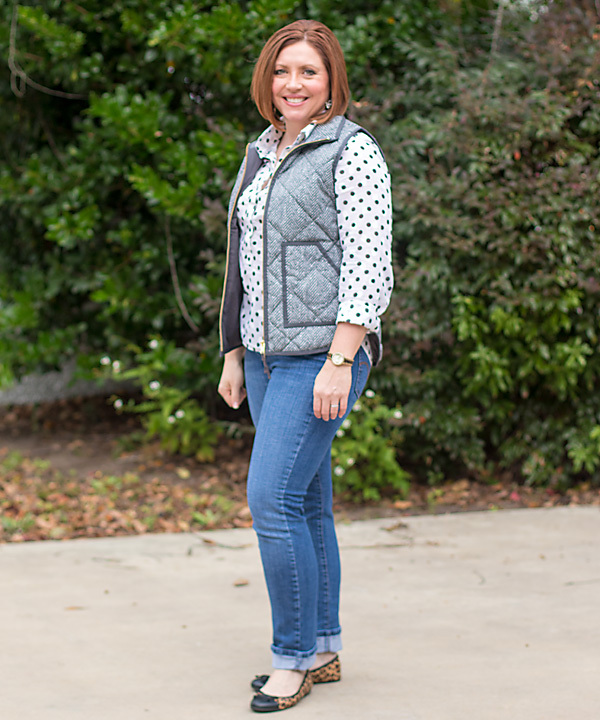 This vest has been just as easy to remix and I’m sad I delayed in purchasing one until this season. 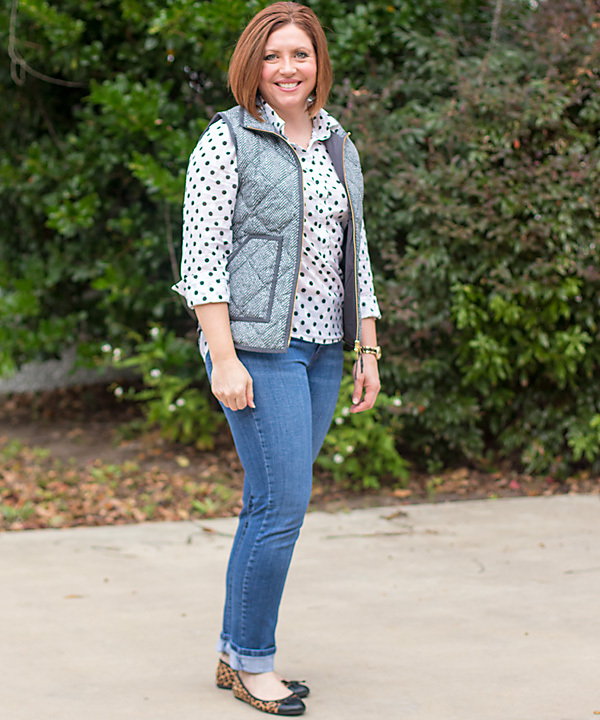 Here are the nine ways to wear a polka dot popover. If you don’t like popovers, a button up will work just the same. And if polka dots aren’t your thing, then black and white stripes would work too. I’m trying to give this blog it’s on social media presence, so I’ve started a pinterest account just for it. I’ll use this one for beauty and fashion related pins, and keep these separate from the other account which included all things and my old craft blog. 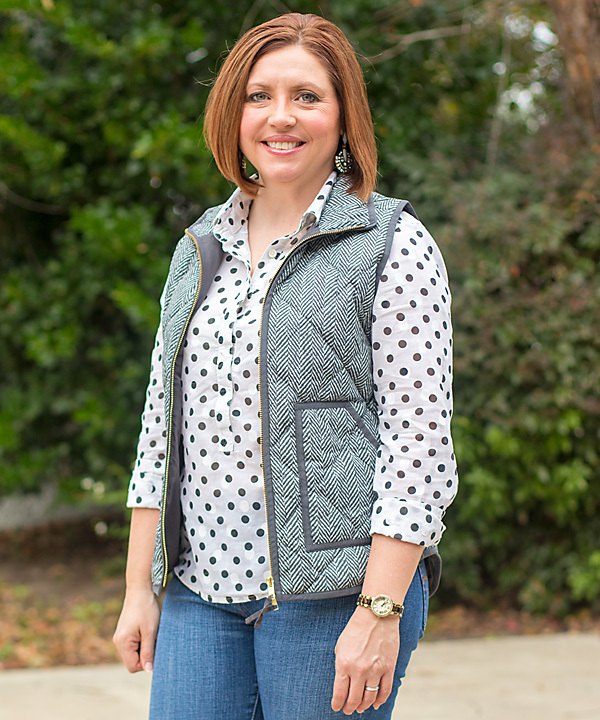 I’d love it if you followed Savvy Southern Chic on pinterest.